Has it been eight weeks already? Early in pregnancy, time can fly as you’ll pretty much feel as normal as ever. This week, however, pregnancy symptoms are definitely going to begin popping up. After all, there’s plenty that’s been going on in your body even if it’s not outwardly obvious just yet. Because lots of things are going on, you’re going to have to stick to a healthy lifestyle. This is to ensure that the little person growing inside of you gets all the right nutrients to grow. But also, it’s important to make sure that you increase your chances that childbirth, which is coming in about six or seven months, will go by smoothly. In any case, here’s what’s up in your womb at this point in time, as well as all of the things you can do to help out. At two months, your blood level of human chorionic gonadotropin is at its height. This is the hormone that tells the ovary to temporarily stop the maturation of egg cells. This is also the hormone that pregnancy tests look out for, so this is definitely a time when you’ll get a positive result! In the weeks after, levels of this hormone will begin to taper down. Estrogen and progesterone levels are also continuing to rise. These hormones continue to help you maintain the endometrial lining of your uterus, ensuring that your little one will continue to have a place to anchor to. They also have numerous other functions that basically just help maintain your pregnancy. Experts think that morning sickness is brought about by the high levels of HCG in your body. However, they still aren’t quite sure of that. In any case, this is the month where you’re likely to be extremely sensitive to strong smells, some of which may send you straight to the bathroom to throw up. It’s believed that this extreme sensitivity has a special function: to keep you from ingesting anything that may be harmful to your baby. While this is typically mild in most women, there are a few who experience an extreme version of it, called hyperemesis gravidarum. This condition may require attention from your doctor. At this time you might notice some dark patchy spots on your skin. Women who have darker skin are particularly prone to these patches, called melisma or chloasma. They typically appear on the face. If you find them unsightly, don’t worry: they’ll disappear after pregnancy. In the meantime, whether you’ve gotten them or not, you might want to be more diligent in putting on sunscreen. This is because sun exposure can trigger melisma, or even cause it to darken further. Wearing a hat or bringing around a parasol can also help. During the second month, your partner might be sent off in the middle of the night to get a jar of pickles or something. This is because this month is a month of weird and wonderful cravings! Some experts believe that these cravings could signal that your body needs more of a certain nutrient. Some women who are prescribed supplement pills might experience a reduction in cravings. But a lot of women who get adequate nutrition still get them, so it’s not quite clear what they’re really for. It’s OK to indulge your cravings but make sure to do so in healthy, reasonable amounts. If you begin to crave chalk, dirt and other non-edible items, you might want to talk to your doctor about it. Unless you’re carrying twins, you might not notice anything different about your tummy. 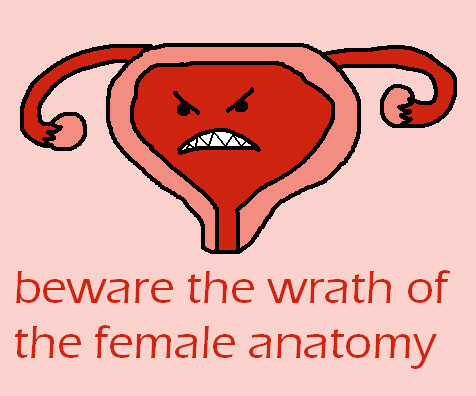 If you press a bit on your lower abdomen, however, you might feel your growing uterus in there. But unless your other pregnancy symptoms are pronounced, you may not even know you’re pregnant at this point! Make the most of it as your tummy is sure to go through a growth spurt in the coming months! One thing you might notice, however, is that your breasts are growing a bit larger than usual. Your body is slowly preparing itself for breastfeeding. You’re likely still be able to use your regular bras, though. But be ready to get yourself some maternity bras soon! At around this time, your little one is still in the middle of the embryonic stage of development. What this basically means that all your future baby’s parts have already differentiated. She’s no longer a lump of almost indistinguishable cells, but is a recognizable human being with distinct parts. These distinct regions will continue to develop as time goes by to form the people parts that are close to that of your own! In about two or three weeks, your little one will enter the fetal period of development. While your little one will have secured herself in the safety of your uterine lining at this point, the placenta and umbilical cord are still undergoing development. Your baby will therefore still be getting most of its nutrition from a structure known as the yolk sac. This sac not only contains the nutrients that your baby needs, it also functions as a cardiovascular system of sorts, helping blood circulate through the entire embryo. Once the placenta and the fetal cardiovascular system develops, this sac will slowly become less prominent. At this point, your little one’s brain will already have been well-developed, although it will still need to mature over the next few months. Overall, however, most of the nervous system is still a work in progress. Neural pathways are still being developed in the brain. In particular, this is a period where the hypothalamus will begin to develop. In addition, the beginnings of nerves are still branching out throughout the body, to ensure that your little one will be able to move and feel. In fact, your baby will be testing these newly formed nerves out at this point, moving little by little, although you may not feel it just yet. You might be excited to know if your little one is a boy or a girl or, on the other hand, you might want to keep it a surprise until the big day. While your baby’s gene combination will have determined this upon conception, there’s still no way to know at two months. Your doctor might be able to see the genital tuber with a highly sensitive ultrasound. But this won’t differentiate into male or female parts until about nine weeks. As of now, this exciting detail will remain a mystery. At this point, your little one is about 1.6 cm or just over a half inch, in size. Which is to say that despite all the development that’s been going on the past eight weeks, she’s still extremely tiny. She’ll have lost her tail, and her hands and feet will no longer be webbed. Your uterus, on the other hand, will be about the size of a grapefruit. While this is still pretty small, compared to the big balloon that it will be later in the pregnancy, it’s just beginning to push some of your other internal organs aside. To support your baby’s growing body and brain, you’re still going to need to eat very well. Go for balanced meals that contain the recommended amounts of carbohydrates, fats, proteins, vitamins and minerals. You’ll want to amp up on the green, leafy vegetables, which are rich in folic acid, a nutrient important to the development of your baby’s brain and blood cells. Of course, a major hurdle of eating well is going to be morning sickness, as well as the fact that you’re probably craving chocolate every couple of hours. For morning sickness, stick with bland, but nutritious foods, and go for whole grains instead of refined ones. Some women find it extremely helpful to have soda crackers and water on the bed stand and nibble on a couple before rising to avoid nausea. If you’re craving some major unhealthy food, just make sure not to overdo it! You will, of course, still want to continue those pregnancy exercises. If you haven’t started yet, do a few Kegels exercises right now! You’ll find that exercising regularly at this point will pay off in the near future. Starting next week, your tummy is going to begin ballooning like crazy. Exercising to strengthen your muscles will mean less back and pelvic pain from the weight. Just make sure to acclimate yourself to exercises that are safe for your pregnancy, and that won’t cause you to lose balance once you’ve got that baby bump going on. If you’ve learned about your pregnancy early on, you’re probably going to have your first prenatal checkup this week! If you’ve only just found out, now is a great time to scout around for a good doctor. It’s best to have at least a rough birth plan ready so you can tell your doctor exactly what you want. Chances are that due to your rising hormone levels, you might experience an increase in discharge. It may be thicker and slightly stronger smelling than before. Make sure to wash your lady parts daily with just water or with a very mild cleanser. Wearing cotton underwear may also help. In addition, you might notice that you have stronger body odors. This could be due to changes in your normal microbiota, or it could be just your super-sensitive smell. In any case, you’ll probably want to keep extra clean. Oh, and make sure that you floss as well! Another thing you may begin to feel at two months is constipation. This is because the hormone progesterone relaxes smooth muscles so your uterus doesn’t get triggered and pump out the growing embryo. This, however, also affects your intestines, which have a layer of smooth muscle. As a result, you might begin to feel constipation and bloating. There are a few things you can do to keep this symptom to a minimum, however. For one thing, you’ll want to drink plenty of water to ensure that your intestines aren’t sucking your poop dry, exacerbating the constipation. You’ll also want to eat plenty of foods rich in fiber, such as whole grains and vegetables. Regular exercise can also help keep your bowels moving. A daily fiber supplement may be necessary, which can also be good for lowering cholesterol!